When a user generates any document that is Google Drive enabled, an “Upload Selected to Google Docs” button appear above the list of generated documents. The user will click on the upload the selected documents. The first time a user tries to upload a document using S-Docs, they will be presented with a page indicating that they need to authorize access to their Google Drive account and grant permission for S-Docs to access the account. Clicking on the “Authorize Google Docs Access” button will redirect you to a Google hosted sign in page. The user would need to sign into their Google Account. 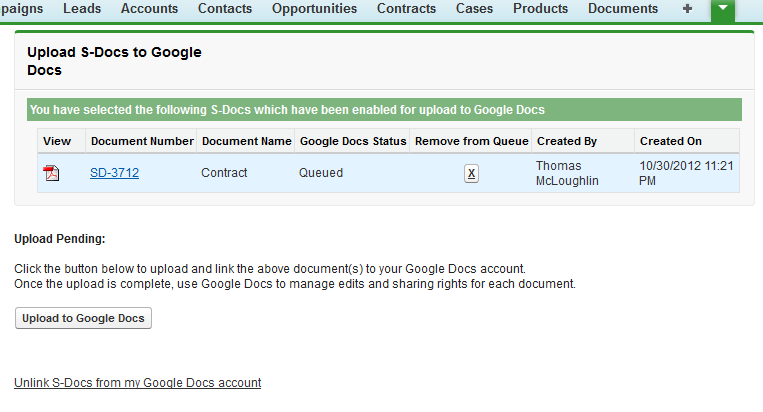 Once authenticated, S-Docs leverages OAuth 2.0 technology to manage access between S-Docs to Google Drive. The user will need to click on the “Allow access” button to continue. This step needs to only be done once as this access authorization is retained with the users salesforce account. Going forward, users will skip the authorization step and will directed to the upload confirmation page below. Here users can indicate which documents are queued for upload and the user can also deauthorize S-Docs from their Google Account by clicking on the “Unlink S-Docs from my Google Docs account” link at the bottom of the page. Once the user clicks the “Upload to Google Docs” button, the Status field will change from “Queued” to a link. The link will open the document directly within Google Drive. Links to documents and their icons are updated whenever a document is uploaded to Google Drive. Clicking on the link will open the document directly within Google Drive in either a new tab or new window. 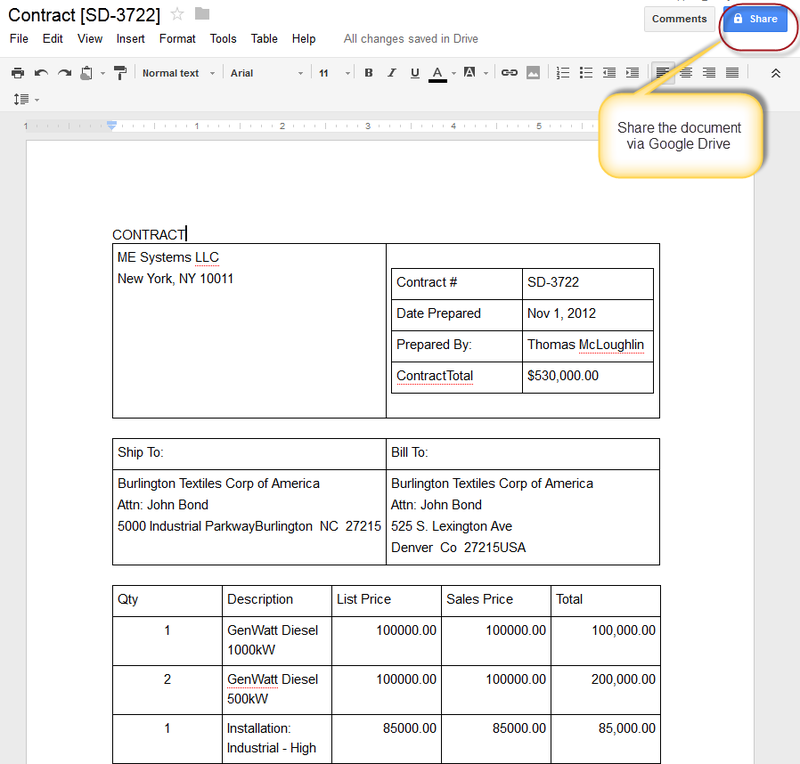 Once a document is uploaded to Google Drive, it can be moved and shared as needed by using standard Google Drive functionality.